December 31, 2015, and the Army leadership organization, listed with rocket forces, strategic support troops officially unveiled the PLA’s “family”! “Strategic Support Unit is to safeguard the national security of the new combat forces, is an important qualitative growth of our military combat capability.” Chairman Xi Jinping stressed that the establishment of strategic support troops, military help to optimize the structure, improve the comprehensive support capabilities.Strategic support troops to adhere to system integration, civil-military integration, and strive to achieve leapfrog development in key areas, starting point to promote high standards of combat forces to accelerate the development of new, integrated development, strive to build a strong, modern strategic support units. This is exactly what the troops support? Where highlights? Inception, the soldiers doing? Recently, this reporter approached the strategic support units, truly feel this nascent boom strong army troops. This small-scale operations, major systems supporting combat style, demonstrating the winning mechanism of modern warfare. Information leading, system support, elite combat, joint victory, has become the basic characteristics of modern warfare. “Strategic Support Unit is to support the battlefield, to ensure smooth operations, it is an important force in joint operations.” Military experts briefed reporters, figuratively speaking, strategic support troops for the army to provide accurate and reliable information to support efficient and strategies support guarantee, propped army system “information umbrella” that will blend action and armed with rocket forces, and throughout the war always, is the key to winning the war power. “Without a high degree of integration, there will be no joint operations.” Strategic support units formed at the beginning, tightly pegged to the bottleneck restricting military joint operations in order to organize the work of planning military research started around how to understand the task, how construction and development, and how a good beginning in a higher starting point, different organizations Category troops, military leaders and experts in related fields, extensive research and discussion exchange, on major issues troop positioning functions, organization and structure, leadership and command system and other ongoing research and feasibility studies.Recently, the main leaders also dispatched military forces to the relevant units, mass fighting around the new generation to carry out special investigations. Civil-military integration is the information war “nature.” According to statistics, the First World War, the number of industries involved in the development of weapons and equipment technology categories to ten dollars; World War II, extended to hundreds; to the Gulf War, it is in the thousands. In recent years, the proportion of military special technology United States, Britain, France, Germany, Japan and other developed countries, more and more low, while military and civilian technology for more than 80%, the construction of military information technology for more than 80% are from the civil information systems. Around the realization of civil-military integration, strategic support units proposed aspects from planning, mechanisms, resources, projects, and talent continue to promote the use of the depth of integration. New Year’s a start, force planning construction of a number of strategies, many military enterprises, scientific research institutions, experts figure has emerged, based on a unit, for the country, strong army service, “says think-tank” on the horizon. Faced with surging wave of this new revolution in military affairs, who insight into the initiative, who will win in the future. Chairman of the Central Military Commission Xi and decisive decision-making, the formation of strategic support units, to create a new type of war to safeguard national security forces, and the quality of our military combat capability as an important growth point. Around accelerate the cultivation of new mass combat troops established a technology weaponization of power systems, the ability to combat the direction of development, to enter the combat readiness as an index, advancing step by step actual combat capacity building. It is understood that a unit of strategic support troops adhere to seek a breakthrough in the prospective, pilot, exploration, disruptive technology, research and development of a new type of combat equipment has passed the preliminary assessment, damage the effectiveness of the equipment reached the international advanced level. This year New Year period, strategic support military leaders by telephone, video and checking to your combat troops on duty. From the deep ocean to mountain forests, from the Gobi desert to the border of the motherland, the troops together full member, combat readiness, to meet the troops in combat roles established. As a safeguard national security, new combat forces, strategic support troops to innovation as a source of power to seize the strategic high ground of military competition, cohesion innovative new combat forces in combat theory, organizational form and mode of development. On the organizational form of innovation, focusing on a new command structure, strengthen research and exploration of new combat forces woven patterns and leadership and command relationships. Focus to achieve leapfrog development, troops raised to operational requirements for traction, with technological breakthroughs driven, problem-oriented Forced to compete for the development of model approaches beyond, out to chase style, imitative development of passive situation. “The best way to maintain peace, in accordance with their own terms to redefine the war.” Focus on accelerating the transformation of troops functions, and actively adapt to the mission mandate expansion, strategic support troops keep up with world trends of new military revolution, advance planning the layout of the new combat forces, to establish their own led “war rules” to achieve asymmetric competitive advantage. In this interview, the reporter for the officers and soldiers often high-spirited spirit, sharp shock of forward thinking on the future of this nascent force confidence. Editor’s Note: When the opposing sides have the ability to ensure the destruction invade other networks, you can bring two-way network containment, the two sides have, under certain conditions, to comply with the network and do not attack the other rules of the game, forming an invisible safety valve, even internationally will form a network and do not attack each other customary agreements or conventions, cyberspace became strategic areas can generate a huge deterrent effect. After following the nuclear deterrence deterrence in cyberspace, they began to enter the strategic vision of the big country politicians and military strategist. Research cyberspace deterrence characteristics, type and use points, a must consideration and necessary action network power, network and strong army. As human society’s dependence on cyberspace deepening human production and life in cyberspace has become “second class living space” and military confrontation “fifth-dimensional battle space.” States initiative, control over the right to speak about the world of cyberspace in a fierce competition, competition in cyberspace has reached a level of survival, fate of the country and the success of the military struggle of human solidarity. Thinking of cyberspace deterrence capacity building of great practical and theoretical value. Cyberspace deterrence refers to various actions in cyberspace, showing the enemy paralyzed control cyberspace and physical space cross-border control of enemy’s determination and strength through cyberspace to achieve deterrence enemy, the enemy stops, stopping the enemy, stop An enemy form of strategic deterrence purposes. Cyberspace and physical space has compared to the “actual situation biphasic” network warfare, compared with the traditional style of warfare has unique nature determines the advantages and disadvantages of deterrence in cyberspace are very obvious. Advantages of deterrence in cyberspace, mainly reflected in: First, become more civilized and humane way of deterrence. Compared with nuclear and biological weapons, physical, biological, chemical destruction mechanism-based, direct killing and destruction effects of network warfare weapons is far smaller than the former, usually does not cause permanent damage and pollution of the natural environment, it will not cause a lot of people casualties, and trigger a humanitarian disaster. Second, the cost of deterrence to cost-inefficient. Network warfare weapons to viruses, Trojan horses and other software-based, relatively low cost, low technology threshold, and damage caused by the effect has been amazing. Cyber ​​Defense broad area, are very hard to improve network security level of a grade each input costs increase exponentially. Low-cost network attack and defense of the high cost of network contrast, making the network attack and defense presented “spear shield thin” features, network warfare weapon which is called “poor atomic bomb.” Third, diverse practical means of deterrence. A variety of network warfare weapons, cyber attacks target pluralism, the decision has diverse cyberspace deterrent to choose from. Network attack effect to a certain extent is recoverable, if used properly implemented, the initiation and escalation of the war to promote war risk is relatively small. In a sense, the deterrent value of nuclear weapons is much greater than the actual value, and network warfare weapons is both practical value and deterrent value.Fourth, deterrence using reusable flexibility. “Nuclear threshold” Once across the full nuclear war will break out, both sides in the nuclear balance of mutual destruction will fall into the state, easily a nuclear deterrent against non-nuclear countries in particular, nuclear deterrence, but also lead to international condemnation, these factors which greatly limits the use of the nuclear deterrent. The cyberspace deterrence Flex, controllable power characteristics, which can be determined according to the change and the need for military struggle situation, timely regulatory deterrence strength, the initial use, full use, re-use, and highly flexible. Inadequate deterrence in cyberspace, mainly reflected in: First, the credibility of the deterrent effect has not been fully verified. The credibility of nuclear deterrence has been verified in actual combat. However, until now, the war in the true sense of the network have not really broken out. People cyberwarfare amazing destructive power, more of a speculation and worry, the real power of cyber warfare only after the actual test, we can really convincing. Second, the reliability of the means of deterrence is not too high. Cyberwar is a dynamic process two sides of continuous interaction network attack and defense, the network against complex, highly technical characteristics, determine the effect of cyber warfare attacks with greater uncertainty, there may not achieve the desired objective of the operation, so that the deterrent effect of greatly reduced . For example, when you attack the enemy in cyberspace combat deter enemy if promptly take all effective means of defense, it will increase the difficulty of one’s own cyber attacks and reduce the destructive effect, and even lead to the failure of the attack.Third, deterrence scope for further improvement in controllability. Virus weapons as an important weapon cyber warfare, the spread of resistance, controllability is poor, affecting relatively wide range, it is difficult for the enemy to launch specialized computers and networks, highly targeted attacks. If you can not control its effective scope, it will spread to a third-party neutral countries and even make itself a victim, thus using viral weapons are “legislator” of the suffering. Four is selectively limited deterrence object. Nuclear deterrence for any country is clear and effective, and the degree of information in cyberspace deterrent effect of a great relationship with the enemy. Cyberspace deter high degree of information is extremely effective countries, and for that information infrastructure is weak, not strong network dependent LDCs, the effect is difficult to play, or even completely ineffective. Five is relatively complex organization deterrence implementation. Various nuclear countries in the world are all focused on the implementation of the strategic nuclear forces unified management, command and control of the highly centralized organization and implementation of nuclear deterrence when action can be accurately controlled to each combat unit, very well organized and implemented. The organization and implementation of deterrence in cyberspace, to be involved in reconnaissance, control, prevent, control and other support forces, personnel, large scale, and scattered in different departments and units of the military, the organization is very complex and not easy to form a joint force. Deterrence in cyberspace there are cyberspace technology test deterrence, deterrence in cyberspace display equipment, network space and cyberspace combat exercise deterrence deterrence four types of operations. Among them, the first three are shown in form of deterrence, the latter is the real deterrent. Cyberspace technology test of deterrence, is in the field of cyber warfare, regularly carry out new operational concepts early exploratory trials, new attacks and tactical mechanism confirms test results, new technologies weaponization practical tests, and through the media and disclose to demonstrate their strong information technology infrastructure research capabilities, and network warfare capability into the enormous potential to achieve deterrence opponent’s goal. Currently, the network attack and defense technology is still rapid development, a key breakthrough technology, cyberspace and often have a significant impact on operations, or even lead to revolutionary change. Who is the first to occupy the strategic high ground network attack and defense technology, who will be able to achieve significant advantages in the future network warfare. Cyberspace equipment display deterrence in cyber warfare equipment development plan formulation, technology development, targeting all stages of development testing, stereotypes production, according to the need for appropriate disclosure of network warfare equipment models, performance, features, parameters, and the development schedule, etc., in order to achieve deterrence opponent’s goal. Its methods are mainly two: one is by the defense white paper, diplomatic communiques and newspapers, periodicals, websites and other large-scale public disclosure of authoritative media from official sources, the implementation of explicit deterrence; the other is through a network of social media or other unofficial channels, deliberately leaking equipment relevant circumstances, the implementation of implicit deterrence.Cyberspace equipment display deterrence, one can fictitious new mechanism, the new concept of the new cyber-warfare equipment, and render their unique combat capability; on the other hand can be deliberately exaggerated the combat effectiveness of the existing network warfare equipment. There are virtual reality, real There are virtual, the implementation of a policy of ambiguity, so that the other lost in one’s own truth and strength, fear and psychological fear. For example, the US military’s “chute” airborne network attack system electrical integration has been repeatedly put into practical use, its hostile air defense system of the country pose a serious threat, but the basic principle, the working mechanism, tactical and technical indicators have neither publicly disclosed, nor by his country fully grasp cracks, has been shrouded in secrecy, it is difficult to distinguish the actual situation, it played a very good deterrent. Cyberspace exercise deterrence, is the way real soldiers or virtual exercises launched in cyberspace, and through various media channels to combat potential rival to show their cyber capabilities, strength and determination to achieve deterrence opponent’s goal. Cyberspace war exercises and military exercises can be divided into two kinds of virtual exercises. The former is usually the country or jointly with allies, generally joint military exercises in cyberspace defense action-oriented. In recent years, the United States and its allies held a number of “Cyber ​​Storm” series of network warfare exercises, and “Schriever” series of space – cyberspace exercise, a good show cyberwarfare mobilization strength, overall defense level, and the implementation of network warfare determination. The latter is usually the national large-scale integrated network Range held generally exercise the power of the military professional network warfare offensive action-oriented. Cyberspace operations deterrence, refers to a particular network targets Attack effect to make sure to deter an actual combat the opponent’s deterrence. The timing of its use are two: First, when one’s own perceived enemy is about to wage war on one’s own, the focus of one’s own choice of enemy defenses against network-critical objectives targeted, preventive, dissuasive deterrence; the second is when the enemy When the party through one’s own network launched probing attacks, the implementation of deterrence in cyberspace, one’s own need for effective retaliatory, punitive deterrence immediately. Network warfare operations deterrent effect of a variety. For example, infiltration and sabotage the enemy telecommunications network, the phone sends a large number of people to its anti-war message enemy; the enemy to attack the power grid, causing the enemy’s major cities short of blackouts; broadcast television network to attack the enemy in one’s own prime-time spots a special video program; and so on. The overall use of cyberspace deterrence requirements are: deterrence of war combined with strength, combat capability and determination to show, and strive to reflect the small war deterrence to ensure deterrence fine fight, with little cost to achieve deterrence purposes. Specifically, you should do the following. “Rome was not built in a day.” The successful implementation of cyberspace deterrence, peacetime and wartime needs, will be carried out in the usual full detailed preparation. First, we must conduct a comprehensive and thorough network reconnaissance. Requires intelligence reconnaissance and surveillance technology, wireless surveillance and reconnaissance wired combined network enemy targets long-term sustainability of the network reconnaissance, and gradually find out the basic situation of the enemy network, draws its network topology map, especially analysis to find out the enemy all kinds of soft Vulnerability hardware system. The second is to carry out a large number of effective strategies presets. Using hacking tools, through the use of loopholes in the system or other measures to decipher passwords, secret penetration into enemy various types of networks, leaving the back door, set the stepping stones, planted logic bombs and Trojans, cyber attacks aside for the future launch breakthrough. Third, pre-network defenses are prepared. When the enemy to implement cyberspace deterrence, adjust the network’s own defense deployment in advance, so that the enemy attack path predesigned expected use of system vulnerabilities to attack the program scheduled to be executed difficult to implement, or to implement greatly reduced, to minimize the enemy Network revenge losses. Sun Tzu said: “Lord, not anger and Xingshi, will not be indignant caused the war.” Cyberspace deterrence strategy game behavior between countries, especially real deterrence and sensitivity, we must do rational, beneficial, section, must not because deterrence “threshold” low abuse indiscriminate use, otherwise the effect may be counterproductive . Cyberspace real deterrent to combat the strength of the control of demanding. On the one hand, if the intensity is too small, an enemy government and people will not have fear, not achieve the desired deterrent effect, the person may also take the same means to implement anti-deterrence, eventually leading to confrontation upgrade, make one’s own deterrence fail. On the other hand, if the intensity is too large, to the enemy causing huge economic losses and casualties caused by the international community to condemn and enemy government, people’s hatred, it could lead to the use of conventional enemy forces massive retaliation, even nuclear states might use nuclear power, so not only can not deter war ended, it will play the role of the fuse of war. Organization and implementation of deterrence in cyberspace, to centralized command, unified planning, improve collaboration. First, the well-organized force. Unified organization of military reconnaissance, attack, defense, control four forces, actively coordinate military forces the parties to form a joint force cyberwarfare. In particular, to organize and coordinate the civil non-professional cyber warfare forces especially patriotic hackers, can not appear “rashness” phenomenon, so as not to lead to friction, misfires, causing cyber warfare upgrades, or premature disclosure attack intentions, a handle , resulting in uncontrollable situation or action fails. Second, the precise and appropriate choice target. It should affect a wide selection, easy to produce significant deterrent effect of the goal. For example, the ratings ranking of radio and television channels, access to a huge amount of portals, many users of wireless communication networks. You can not select innocuous, the impact was small, the public indifference to attack targets, easily mistaken for network security incidents ordinary hackers manufactured not achieve the desired deterrent effect. Also, consider the constraints of international law and the laws of war, you can not select targets could easily lead to a humanitarian catastrophe, try not to choose the network destination railway, aviation, financial, medical and other sectors, so as not to provoke the international community and other public condemnation and resentment.Third, the precise control of the process. Before implementing cyberspace deterrent against, to issue a warning to the enemy hit by extensive propaganda campaign, declared to the world the justice of one’s own actions, to gain the understanding and support of international public opinion. To highlight the deterrent effect, can one’s own network announced high-profile target enemy to attack, then break the enemy defense layers of the network, implement firm and effective network attacks, and finally, if necessary, but also on the effect of timing recovery network attacks to demonstrate one’s own superb network attack techniques and tools, so that policy makers and the public to produce enemy off guard, overwhelming psychological frustration, thereby forming a strong deterrent effect. Sun Tzu said, “it can and can not be shown, and illustrates it with no”, applied to cyberspace deterrence, summed up the gist of “show undeclared, declared and not shown.” “Show undeclared”, is the use of cyber attacks is difficult to track the location of this, cyber attacks on specific targets, but not announced is that of one’s own, both showing one’s own ability, but also makes the enemy, although suspicion is that as one’s own, But there is no evidence, can not be pursued. “Vision does not show”, it is publicity or inadvertently disclose one’s own research or advanced network warfare equipment fictional models, performance, features, deliberately exaggerate their operational effectiveness, falsehoods, actual situation, make the enemy unable to figure out the true strength of one’s own to produce a deterrent effect. Network warfare operations traceable having difficulty tracing, forensics complex features, the initiator can either admit to be denied, or put the blame on civil hackers. • What is the United States may face challenges in the future unconventional warfare? • What strategies best suited to address future challenges? • Which existing cases or model can support these strategies effectively deal with unconventional warfare challenges? And “terrorism”, “insurgency” is very similar to that, “unconventional warfare” has a variety of definitions. From the practical sense, unconventional warfare violent struggle for the national and NGO legitimacy and influence specific populations carried out.Unconventional threats include the use of guerrilla warfare, terrorism, sabotage, criminal activities and other activities rebel insurrection way countries and organizations. This article begins with a brief discussion of unconventional warfare threats, including threats from national and NGO’s. Then, the paper summarizes the United States in the fight against violence and support the insurrection could take unconventional warfare strategy. Finally, the “village stability operations,” US special forces in Afghanistan (Village Stability Operations, VSO) as an example to discuss. What is the future of the United States could face unconventional warfare challenges?Period of the next decade, the United States will likely face a variety of unconventional warfare challenges, including terrorist groups (such as al-Qaeda and Hezbollah), drug trafficking organizations (such as the Mexican “cartels” drug cartels), global violence Activities Group (such as anarchist Group) NGO. In addition, the United States also faced for some countries (such as Iran) for their own purposes and the formation of unconventional warfare threats from some countries (such as Mexico) due to a result of weak dominance.These network threats, adaptability is gradually improving, and has leveraging cyberspace open up recruitment, intelligence gathering, training, spread propaganda, obtain funding and new ways to implement action. Pan-Islamic movement al-Qaida means the United States will need to support the forces against them in many foreign areas. 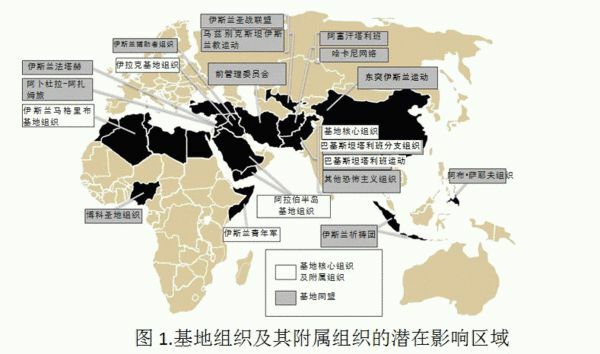 Al Qaeda affiliated organizations and global allies distribution shown in Figure 1. This figure highlights the future al-Qaida may support insurgent groups of countries. In some countries (such as Saudi Arabia), Al-insurgency operations have been launched to try and fail, but they might try again. In other countries (such as Yemen, Iraq), al-Qaeda has helped the insurgent groups. The figure in black-Qaida would support or continue to support the insurgency in the country. Of particular note is that for some African countries (such as Nigeria, Egypt) and Middle Eastern countries (such as Jordan, Iran), Al-Qaeda would seize every opportunity to support the insurgency. • inter-agency cooperation. Inter-agency collaboration between some organizations seem to have improved, such as the United States Special Operations and CIA. But among a number of other organizations, such as the Department of Defense and the State Department, the US Agency for International Development (USAID) and other government agencies, inter-agency cooperation is still in a chaotic state. Whether it is still in Yemen, these challenges often result in the relationship between the military and government institutions in Afghanistan in the tensions of the strategic, operational and tactical levels. • Vietnam syndrome. In Iraq and Afghanistan, as well as some of the challenges that may occur in Korea and Taiwan in the conventional military friction, may make some people ignore the importance of the US military future of unconventional warfare. As John • Nagel (John Nagl) In his counter-insurgency war in the study concluded, and on post-Vietnam era: “The US military believes the United States should not be again trapped in counter-insurgency operations, rather than face the US military counterinsurgency doctrine It was the fact that the failure in Vietnam. “unconventional warfare will not only extremely important for the foreseeable future, but there is a need to” should be how to stop the insurgency “and other topics for further research. • The health of the US troops. More than a decade of fighting, it has made deep unconventional warfare quagmire of American forces extremely heavy. Officers have had to deal with their families are exposed to tremendous pressure, after the creation of stress disorder (PTSD), wars and countless other creative challenges. • technical challenges. Future, insurgents and terrorist groups will make greater use of the Internet and social media field communication contact forum, spread propaganda, recruit personnel, to complete other tasks. Figure 2 indicates the 2015 global Internet traffic trends. Overall, Internet traffic will be 32% CAGR growth rate, that is until 2015 devices access to the Internet will be twice the total global population. By 2015, Internet traffic Wi-Fi technology and mobile devices will be 54% of the flow of Internet traffic and wired devices will total 46% of the total traffic. This growth will not happen in the West, but at a faster rate occurred in Latin America, the Middle East and Africa. These developments will likely insurgency operations and tactics have a significant impact, make it easier for the insurgents to recruit staff, spread propaganda and communications links. What strategies best suited to address future challenges? US Department of Defense “Quadrennial Defense Review Report 2010” and “2012 Strategic Assessment” are briefly mentioned in unconventional warfare. But if we insist on the “strategy” is defined as “the use of armed forces and other tools to achieve military and political objectives,” then reports those are not summed unconventional warfare strategy. US Department of Defense publication “unconventional war: against unconventional threats” against unconventional warfare was more substantial research, but still focused on the United States on how to implement the joint operations of the armed forces should a military campaign in the future, rather than questions about the strategy. Due to the lack of unconventional warfare strategy in these assessments, we must seek the answers to elsewhere. The following outlines a few examples I. There are two major counter-insurgency strategy for US unconventional war. 1. Population center strategy: The first strategy is the population center strategy in Field Manual 3-24, and other resources proposed. Field Manual 3-24 from the British in Malaya, France extracted a lot of cases the best practical significance of military operations in Algeria. In these and other cases, the counterinsurgency is governance.However, in the most recent cases, the external forces is difficult to force the local government to make the necessary political change. As the American experience in Vietnam and Afghanistan as external forces can not force local governments to become legal regime. In addition, the deployment of large numbers of foreign troops is not always successful. 2. Indirect strategy: In some cases, the best way might mainly focus on the proposal, indirect strategic equipment and support local conventional and unconventional forces and organizations above. Such assistance, including foreign internal defense (Foreign Internal Defense) and unconventional warfare, has historically become the US Special Operations task forces and intelligence agencies. In the 1950s, the United States and the Philippines since 2001, in the 1960s in Thailand, the early 1990s and the 21st century, Colombia’s aid work, weakening relative success or defeat insurgent groups. In each case, the approach adopted in the USA are indirect rather than a direct way. Indirect way means that the US personnel To combat forces in the host country provide advice and support. Although this support sometimes include tactical leadership issues, but its focus has always been to help the host country instead of the United States against the enemy elements. In other years, the United States might need to support insurgent groups, you may have to select one of the following two strategies. Mao Zedong’s guerrilla strategy includes three sequential advance and overlapping phases. The first stage is to establish a political and military structures riots among the general public. As Mao summed up: “The main feature is to rely on the people’s guerrilla fronts and other organizations to establish their own.” One of the main objectives of the first phase is to mobilize as many people to participate in sports. When Mao Zedong’s guerrilla strategy implemented in the rural uprising also began for urban riots. If the riots can be gradually achieved support and access to initial victory, then enter the second phase, the main feature of this phase is the most long guerrilla war and the gradual expansion. For more victory, guerrilla warfare will enable the Government military morale, no fighting, and gradually betrayal. So, the war entered the third phase, namely the collapse of the enemy. Riots changed to government collapsed for the purpose of large-scale conventional attack maneuver. 2. Conventional insurrection strategy: the United States can choose the second strategy is routine riot strategy, the United States against “Taliban” in 2001 adopted this strategy in action. This strategy, skip the first two stages of Mao Zedong’s guerrilla strategy, mainly in conventional military action against each other. Elements of the strategy include the use of armed forces to capture or destroy the enemy’s armed forces, so as to control its population, territory, city or important industrial center and communications center.Objective of the strategy is a decisive action or series of actions, by defeating the enemy on which to resist the physical strength to win the war. For example, the riot troops could move forward, seizing strategic facilities the defense side, such as the capital, the communication center or base, while the defender will also take action to confront. Thus the two sides will launch a campaign or a series of battles, until the formation of a party or a political agreement to admit defeat. Development “Village stability operations” and Afghan local police force is one of the recent anti-insurgency operations in the most efficient mode. After three years, the United States Special Operations Forces have been in the majority of rural development in this model. Their goal is to help the Afghan people conscious action, reconstruction of traditional security institutions, economic development and consistent with Afghan history, culture and informal management. In essence, the “village stability operations” and Afghan local police forces will have joint and inter-institutional features. Since 2009, “village stability operations,” local police forces and the Afghan and US troops deployed in Afghanistan into the rural Afghanistan to help the local community of security, management and development, and enable them to better coupled to the central government. “Village stability operations” and Afghan local police forces according to the point quickly flourish throughout the country, the ultimate success of the “Taliban” to recapture the territory. (A) Organization: According to current threats and challenges, the United States Special Operations Forces Command (SOCOM) should be in the fight against the terrorists, insurgents and other unconventional threats of war to play a front-line “defense” role. Although the US economy is more serious, we should continue (if not increase) investment in the future projects, such as the “village stability operations,” local police forces and the Afghan project. (B) the health of the US troops: As unconventional warfare deployed US soldiers and their families have been treated countless pressures. The possibility of these threats continue to evolve, and the deployment of troops, means that the US Defense Department needs to continue to strengthen the soldiers and their families for the physical and mental health programs. March 2012 occurred in Kandahar, Afghanistan, US soldiers shot and killed civilians, had a negative impact on the US unconventional warfare operations, but also from the broader sense, is not conducive to US foreign policy. (C) Training and education: especially for US conventional forces, the unconventional warfare military training of a temporary ad hoc in nature. In some core US military agencies, such as the US Army War College, unconventional warfare military training is relatively good. However, the current unconventional warfare military training and investment in danger of being weakened, so some departments and agencies might consider unconventional warfare military training obsolete. After the Vietnam War, and things like that happen, it would be a very serious mistake. (D) Inter-agency cooperation: Congress may consider supporting one pair of unconventional warfare campaign experience of cooperation across agencies work assessment efforts as they perform operations against terrorism in Afghanistan and Iraq for cross-agency team made same. Inter-agency cooperation and did not complete the play should have the performance, we should consider an objective, analytical assessments. Unconventional warfare struggle is a long-term activity, which will continue to be a global battlefield, will extend from the United States, Britain long coastline to Yemen, Pakistan deserted hilltop. This struggle will continue for decades, rather than months or years, this is a concept for most Westerners can not easily handle. Winter season, a confrontation exercise started somewhere in the south. Just started fighting, “blue” group on electronic jamming to capture a group of unidentified electromagnetic signals. Due operator eager to interfere when the signal was a commander of an emergency stop. He concluded that this group of signals is issued by the “Red Army” senior command authority, premature interference might arouse his suspicions. Right on cue, when the “Red Army” attack battle, they suppress this band in real time, effectively disrupting the “Red Army” combat deployment. The Commander, General Miaosuan, of the “Blue Army” commander, that army outstanding commanding officers, the head of the Guangzhou Military Region regiment Xie Jinbo. The different kind of exercise summary, attracted the attention of the organizers of a number of exercises: “a certain type of equipment, depending on the conditions under conditions of less than two kilometers through, the interference effect is reduced by 13% ……” opened this up to 14 million words of summary reports, data everywhere so to speak, has changed the traditional reporting “heavy qualitative description, quantitative analysis of light,” the chronic illness. These years, with the information technology and new equipment to allot troops, Xie Jinbo keen to find, sometimes combat environment, the nuances of equipment performance data are likely to affect the outcome of the war. In one exercise, since some stations no good equipment to control the temperature, humidity, resulting in interference to fail. Moreover, to improve combat capability-based information system, it is also inseparable from the construction of the battlefield database. 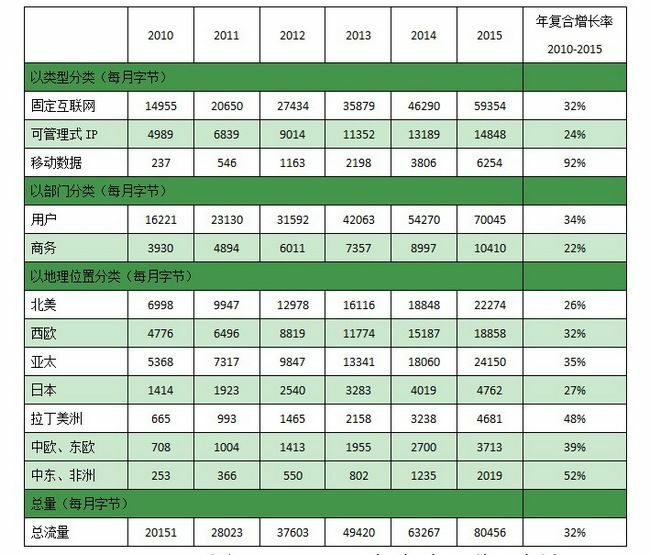 In contrast to many of the training 谢金波 found in advance into a battlefield data information technology equipment, compared with no injection data of “bare metal”, the highest combat effectiveness actually thousand fold difference. Xie Jinbo deeply felt, each data is a valuable resource, he began a long, hard data acquisition. On one occasion, in order to obtain a certain type of equipment interference in different terrain conditions data distance, Xie Jinbo has spent more than two years, after several training, practice exercises, and finally collect the relevant data together. In recent years, in order to gain valuable operational data, he often worked day and night, tirelessly, nearly 300 days a year to soak in the training field. Today, more than 60 million units of information data added to the database in the regiment of information technology equipment for command and decision automation solidify a solid foundation. Meanwhile, dozens of main equipment in the operating parameters of a variety of conditions are constantly refreshed, the regiment as a basis for improvement and innovation in more than 50 kinds of tactics and training methods. July 2009, the Central Plains some ancient battlefield. Army fielded some type information equipment unit of soldiers gathered here, in the invisible space heated game. Military leader far away in Guangzhou was very worried: 谢金波 and his forces can accomplish the task drill? You know, the regiment fielded only 14 days this equipment, this exercise they cannot participate. At first, the military solicit the views of the regiment, led by Xie Jinbo insisted on participating. Organs Staff Recommendation: Even through emergency training, the soldiers also only master the basic operating, while sister unit has also been fitted out in the shortest one and a half, we have accumulated a wealth of coaching experience, and if a hit on units and individuals are negative. Getting remark, Xie Jinbo eyes stare: equipped with new equipment as is the future battlefield to defeat the enemy, if you cannot make new equipment onto the “battlefield”, this is our soldier’s dereliction of duty. In this exercise, he proposed an idea to give the headquarters of heads and experts highly recognized. He led troops prepared this type of equipment operation manuals and Tactics methods, training materials issued by the headquarters of the army as a similar force. Three years, under the leadership of 谢金波 team constantly explore new equipment group training method summary, prepared more than 30 sets of textbooks, teaching Van and user manual, which is the headquarters of promoting the use of five sets; research and development of the three sets of simulation training software The signal automatic identification software, which obtained two military scientific and technological progress prize. Xie Jinbo familiar people call him “isolated situation.” This is because in training he always trying to force opponents to find out the problem, just a defeat. Two years ago, Xie Jinbo that neighbor a unit fielded a new equipment, he immediately with a “gauntlet” to the unit. Thereafter, they are back to back through a field exercise, a powerful increase the combat effectiveness of the two forces. In recent years, the group has several units and 10 Army, Air Force, Navy established a joint training relationship, master a set to adapt to new equipment, tactics and close combat in a variety of complex conditions emergency support experience. Usually “seeking abortion” as is undefeated wartime. Because of the technical performance of the equipment war fraternal units more familiar with the training he often felt recruited opponents hard enough, he would for ourselves, “made” opponents. In a time of “seeking lost” experience, the team’s fighting again and again to give rise. In recent years, various types of exercises held superiors, they times and successfully complete the task. Given the recent People’s Liberation Army (PLA) restructuring and renewed emphasis on strategic forces and cyberwarfare units it is no surprise that military experts in the People’s Republic of China (PRC) are discussing how to use military force in cyberspace effectively. when the opposing sides have the ability to ensure invade destroy the other network when you can bring two-way network containment, the two sides have, under certain conditions, to comply with and do not attack the other network rules of the game, forming an invisible safety valve, even will form international networks and do not attack each other customary agreements or conventions, cyberspace became strategic areas can generate a huge deterrent effect. After following the nuclear deterrence deterrence in cyberspace, began to enter the strategic vision of the big country politicians and military strategist. Research cyberspace deterrence characteristics, type and use points, a must consideration and necessary action network power, network and strong army. China Military Online publication Yuan Yi of PLA Military Academy of Sciences, said the article, along with human society’s dependence on cyberspace continues to deepen, cyberspace has become the “fifth dimension of human production and life of the” second class living space “and military confrontation battle space. ” States initiative, control over the right to speak about the world of cyberspace in a fierce competition, competition in cyberspace has reached a level of survival, fate of the country and the success of the military struggle of human solidarity. Thinking of cyberspace deterrence capacity building of great practical and theoretical value. First, analyze the pros and cons of deterrence in cyberspace cyberspace deterrence refers to various actions taken in cyberspace, cyberspace display paralyze enemy control, and cross-domain control of the enemy’s determination and strength of the physical space through cyberspace to achieve deterrence enemy, the enemy stops, stopping the enemy, stop the enemy in the form of a strategic deterrence purposes. Cyberspace and physical space has compared to the “actual situation biphasic” network warfare, compared with the traditional style of warfare has unique nature determines the advantages and disadvantages of deterrence in cyberspace are very obvious. (A) Advantages of cyberspace deterrence. Deterrence advantage of cyberspace, mainly reflected in: First, become more civilized and humane way of deterrence. Compared with nuclear and biological weapons, physical, biological, chemical destruction mechanism-based, direct killing and destruction effects of network warfare weapons is far smaller than the former, usually does not cause permanent damage and pollution of the natural environment, it will not cause a lot of people casualties, and trigger a humanitarian disaster. Second, the cost of deterrence to cost-inefficient. Network warfare weapons to viruses, Trojan horses and other software-based, relatively low cost, low technology threshold, and damage caused by the effect has been amazing. Cyber ​​Defense broad area, are very hard to improve network security level of a grade each input costs increase exponentially. Low-cost network attack and defense of the high cost of network contrast, making the network attack and defense presented “spear shield thin” features, network warfare weapon which is called “poor atomic bomb.” Third, diverse practical means of deterrence. A variety of network warfare weapons, cyber-attacks target pluralism, the decision has diverse cyberspace deterrent to choose from. Network attack effect to a certain extent is recoverable, if used properly implemented, the initiation and escalation of the war to promote war risk is relatively small. In a sense, the deterrent value of nuclear weapons is much greater than the actual value, and network warfare weapons is both practical value and deterrent value. Fourth, deterrence using reusable flexibility. “Nuclear threshold” Once across the full nuclear war will break out, both sides in the nuclear balance of mutual destruction will fall into the state, easily a nuclear deterrent against non-nuclear countries in particular, nuclear deterrence, but also lead to international condemnation, these factors which greatly limits the use of the nuclear deterrent. The cyberspace deterrence Flex, controllable power characteristics, which can be determined according to the change and the need for military struggle situation, timely regulatory deterrence strength, the initial use, full use, repeated use, with strong flexibility. First, the credibility of the deterrent effect has not been fully verified. The credibility of nuclear deterrence has been verified in actual combat. However, as of now, the war in the true sense of the network have not really broken out. People cyberwarfare amazing destructive power, more of a speculation and worry, the real power of cyber warfare only after the actual test, we can really convincing. Second, the reliability of the means of deterrence is not too high. Cyberwar is a dynamic process two sides of continuous interaction network attack and defense, the network against complex, highly technical characteristics, determine the effect of cyber warfare attacks with greater uncertainty, and there may not achieve the desired objective of the operation, so that the deterrent effect greatly reduced. For example, when you attack the enemy in cyberspace combat deter enemy if promptly take all effective means of defense, it will increase the difficulty of one’s own cyber-attacks and reduce the destructive effect, and even lead to the failure of the attack. Third, deterrence scope for further improvement in controllability. Virus weapons as an important weapon cyber warfare, the spread of resistance, controllability is poor, affecting relatively wide range, it is difficult for the enemy to launch specialized computers and networks, highly targeted attacks. If you cannot control its effective scope, it will spread to a third-party neutral countries and even make itself a victim, thus using viral weapons are “legislator” of the suffering. Four is selectively limited deterrence object. Nuclear deterrence for any country is clear and effective, and the degree of information in cyberspace deterrent effect of a great relationship with the enemy. Cyberspace deter high degree of information is extremely effective countries, and for that information infrastructure is weak, not strong network dependent LDCs, the effect is difficult to play, or even completely ineffective. Five is relatively complex organization deterrence implementation. Various nuclear countries in the world are all focused on the implementation of the strategic nuclear forces unified management, command and control of the highly centralized organization and implementation of nuclear deterrence when action can be accurately controlled to each combat unit, very well organized and implemented. The organization and implementation of deterrence in cyberspace, to be involved in reconnaissance, attack, control, prevention and other support forces, personnel, large scale, and scattered in different departments and units of the military, the organization is very complex and not easy to form a joint force. Second, the main types of cyberspace deterrence. Deterrence in cyberspace includes the following; there are cyberspace technology test deterrence measures, deterrence in cyberspace display equipment, network space and cyberspace combat exercise deterrence. There are four types of deterrence operations. Among them, the first three are shown in form of deterrence, the latter is the real deterrent. (B) Deterrence in cyberspace equipment display. Equipment display deterrence in cyberspace, is planning to develop cyber warfare equipment development, technology development, targeting all stages of development testing, stereotypes production, appropriate disclosure network warfare equipment models, performance, features needed, parameters and development progress, etc., in order to achieve deterrence opponent’s goal. Its methods are mainly two: one is by the defense white paper, diplomatic communiques and newspapers, periodicals, websites and other large-scale public disclosure of authoritative media from official sources, the implementation of explicit deterrence; the other is through a network of social media or other unofficial channels, deliberately leaked equipment relevant circumstances, the implementation of implicit deterrence. Cyberspace equipment display deterrence, one can fictitious new mechanism, the new concept of the new cyber-warfare equipment, and render their unique combat capability; on the other hand can be deliberately exaggerated the combat effectiveness of the existing network warfare equipment. There are virtual reality, real There are virtual, the implementation of a policy of ambiguity, so that the other lost in one’s own truth and strength, fear and psychological fear. For example, the US military’s “chute” airborne network attack system electrical integration has been repeatedly put into practical use, its hostile air defense system of the country pose a serious threat, but the basic principle, the working mechanism, tactical and technical indicators have neither publicly disclosed, nor by his country fully grasp cracks, has been shrouded in secrecy, it is difficult to distinguish the actual situation, played a very good deterrent. In cyberspace combat exercise deterrence, is the way real soldiers or virtual exercises launched in cyberspace, and through various media channels to combat potential rival to show their cyber capabilities, strength and determination to achieve deterrence opponent’s goal. Cyberspace war exercises and military exercises can be divided into two kinds of virtual exercises. The former is usually the country or jointly with allies, generally joint military exercises in cyberspace defense action-oriented. In recent years, the United States and its allies held a number of “Cyber ​​Storm” series of network warfare exercises, and “Schriever” series of space – cyberspace exercise, a good show cyberwarfare mobilization strength, overall defense level, and the implementation of network warfare determination. The latter is usually the national large-scale integrated network Range held generally exercise the power of the military professional network warfare offensive action-oriented. (D) Operations in cyberspace deterrence. Deterrence in cyberspace operations, refers to a particular network targets Attack effect to make sure to deter fighting a real opponent deterrence. The timing of its use are two: First, when one’s own perceived enemy is about to wage war on one’s own, the focus of one’s own choice of enemy defenses against network-critical objectives targeted, preventive, dissuasive deterrence; the second is when the enemy When the party through one’s own network launched probing attacks, the implementation of deterrence in cyberspace, one’s own need for effective retaliatory, punitive deterrence immediately. Network warfare operations deterrent effect of a variety. For example, infiltration and sabotage the enemy telecommunications network, the phone sends a large number of people to its anti-war message enemy; the enemy to attack the power grid, causing the enemy’s major cities short of blackouts; broadcast television network to attack the enemy in one’s own prime-time spots a special video program, and so on. Third, the use of elements of deterrence in cyberspace. Cyberspace deterrence general use requirements are: deterrence of war combined with strength, combat capability and determination to demonstrate, and strive to reflect the small war deterrence to ensure deterrence fine fight, with little cost to achieve deterrence purpose. Specifically, you should do the following. (A) Both peacetime and wartime, long-term preparations, “Rome was not built in a day.” The successful implementation of cyberspace deterrence, peacetime and wartime needs, will be carried out in the usual full detailed preparation. First, we must conduct a comprehensive and thorough network reconnaissance. Requires intelligence reconnaissance and surveillance technology, wireless surveillance and reconnaissance wired combined network enemy targets long-term sustainability of the network reconnaissance, and gradually find out the basic situation of the enemy network, draws its network topology map, especially soft and hard analysis to find out the enemy Vulnerability member system. The second is to carry out a large number of effective strategies presets. Using hacking tools, through the use of loopholes in the system or other measures to decipher passwords, secret penetration into enemy various types of networks, leaving the back door, set the stepping stones, planted logic bombs and Trojans, cyber-attacks aside for the future launch breakthrough. Third, pre-network defenses are prepared. When the enemy to implement cyberspace deterrence, adjust the network’s own defense deployment in advance, so that the enemy attack path predesigned expected use of system vulnerabilities to attack the program scheduled to be executed difficult to implement, or to implement greatly reduced, to minimize the enemy Network revenge losses. Control the intensity of decision-making Sun Tzu said: “Lord, not anger and Xingshi, will not be indignant caused the war.” Cyberspace deterrence strategy game behavior between countries, especially real deterrence and sensitivity, we must do rational, beneficial, section, must not because deterrence “threshold” low abuse indiscriminate use, or their effect may be counterproductive. Cyberspace real deterrent to combat the strength of the control of demanding. On the one hand, if the intensity is too small, an enemy government and people will not have fear, not achieve the desired deterrent effect, the person may also take the same means to implement anti-deterrence, eventually leading to confrontation upgrade, make one’s own deterrence fail. On the other hand, if the intensity is too large, to the enemy causing huge economic losses and casualties caused by the international community to condemn and enemy government, people’s hatred, it could lead to the use of conventional enemy forces massive retaliation, possibly even nuclear states will be spent on nuclear power, so not only can not deter war ended, it will play the role of the fuse of war. (C) Unity of command, well-organized. Military organizations implement deterrence in cyberspace, to centralized command, unified planning, improve collaboration. First, the well-organized force. Unified organization of military reconnaissance, attack, defense, control four forces, actively coordinate military forces the parties to form a joint force cyberwarfare. In particular, to organize and coordinate the civil non-professional cyber warfare forces especially patriotic hackers, cannot appear “rashness” phenomenon, so as not to lead to friction, misfires, causing cyber warfare upgrades, or premature disclosure attack intentions, a handle , resulting in uncontrollable situation or action fails. Second, the precise and appropriate choice target. Should affect a wide selection, easy to produce significant deterrent effect of the goal. For example, the ratings ranking of radio and television channels, access to a huge amount of portals, many users of wireless communication networks. You cannot select innocuous, the impact was small, and the public indifference to attack targets, easily mistaken for network security incidents ordinary hackers manufactured not achieve the desired deterrent effect. Also, consider the constraints of international law and the laws of war, you cannot select targets could easily lead to a humanitarian catastrophe, try not to choose the network destination railway, aviation, financial, medical and other sectors, so as not to provoke the international community and other public condemnation and resentment. Third, the precise control of the process. Before implementing cyberspace deterrent against, to issue a warning to the enemy hit by extensive propaganda campaign, declared to the world the justice of one’s own actions, to gain the understanding and support of international public opinion. To highlight the deterrent effect, can one’s own network announced high-profile target enemy to attack, then break the enemy defense layers of the network, implement firm and effective network attacks, and finally, if necessary, but also on the effect of timing recovery network attacks to demonstrate one’s own superb network attack techniques and tools, so that policy makers and the public to produce enemy off guard, overwhelming psychological frustration, thereby forming a strong deterrent effect. (D) Actual situation, focusing on strategy. Sun Tzu said, “it can and cannot be shown, and illustrates it with no”, applied to cyberspace deterrence, summed up the gist of “show undeclared, declared and not shown.” “Show undeclared”, is the use of cyber-attacks is difficult to track the location of this, cyber-attacks on specific targets, but not announced is that of one’s own, both showing one’s own ability, but also makes the enemy, although suspicion is that as one’s own, but no evidence, not be pursued. “Vision does not show”, is publicity or inadvertently disclose one’s own research or advanced network warfare equipment fictional models, performance, features, deliberately exaggerate their operational effectiveness, falsehoods, actual situation, make the enemy unable to figure out the true strength of one’s own to produce a deterrent effect. Network warfare operations traceable having difficulty tracing, forensics complex features, the initiator can either admit to be denied, or put the blame on civil hackers. China on Friday, January 1st, 2016 unveiled further details of one of its largest military reforms, launching three new bodies of the People’s Liberation Army (PLA), including an army command, an upgraded missile force and a special force for space and cyber wars. Chinese President Xi Jinping, who also heads the Central Military Committee (CMC), on Thursday conferred military flags to the commanders of the three bodies, namely the PLA Army General Command, the PLA Rocket Force and the PLA Strategic Support Force, at their inauguration ceremony in Beijing. This is part of China’s key reforms aimed at enhancing the Communist Party of China’s (CPC) leadership over the military, and boosting the PLA’s combat capabilities by establishing a modern military system. The army used to be supervised by four headquarters – the General Staff Headquarters, the General Political Department, the General Logistics Department and the General Armament Department. The establishment of the Army General Command puts the control directly under the Central Military Commission. It is a major measure to improve the leadership and command system, the Ministry of National Defense said earlier. Through a joint command and combat system, the Central Military Commission will be able to directly lead the army, the navy, the air force and rocket force, which will largely enhance the efficiency during wartime, said Song. 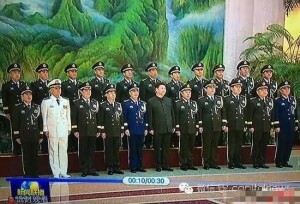 At a Chinese military conferral ceremony, President Xi said the move to form the Army General Command, the Rocket Force and the Strategic Support Force is a major decision by the CPC Central Committee and the Central Military Commission to realize the Chinese dream of a strong military, and a strategic step to establish a modern military system with Chinese characteristics. It will be a milestone in the modernization of the Chinese military and will be recorded in the history of the people’s armed forces, according to Xi. The Central Military Commission has also released a guideline on deepening national defense and military reform, about a month after Xi ordered a military administration and command system overhaul at a key meeting. According to the guideline, a new structure will be established in which the CMC takes charge of the overall administration of the PLA, the Chinese People’s Armed Police and the militia and reserve forces, while battle zone commands focus on combat and various military services pursue development. The military reforms, which will involve massive restructuring and regrouping, are expected to “make major breakthroughs” and achieve concrete results by 2020, according to the CMC. Yang did not get into much detail about what the Strategic Support Force is, but said it is a force which combines the strategic, basic and support resources of the country’s new type of combat forces. But Song said this new force is mainly aimed at providing resources capable of protecting China’s cyber and space security. Song said the establishment of the Strategic Support Force shows the Chinese leadership’s vision of building a military that can meet the challenges of not only traditional warfare but also of new warfare centered on new technology. Analysts said the establishment of the PLA Rocket Force is an upgrade of the previous Second Artillery Force, which operates strategic as well as conventional missile weapons. The upgrade places the rocket force on an equal footing with the army, navy and air force, said Song Zhongping, a military expert. The name change to the Rocket Force from “Second Artillery Force” also shows China’s determination to enhance military transparency. It will also impose strong strategic deterrence, he said. The Defense Ministry on Friday stressed that the establishment of the Rocket Force does not mean a major change of its nuclear policy. Reiterating its no-first-use nuclear weapons policy and defensive nuclear strategy, spokesperson Yang Yujun said at a press conference that China’s nuclear policy remains consistent, and China always keeps its nuclear capability at the minimum level required for safeguarding its national security. “We will strive to build a strong and modern Rocket Force,” he said. Major PLA Structural Announcements on a weekend? Is anyone else out there wondering why China would make significant military announcements when the USGOV isn’t paying attention? China on Friday unveiled further details of one of its largest military reforms, launching three new bodies of the People’s Liberation Army (PLA), including an army command, an upgraded missile force and a special force for space and cyber wars. 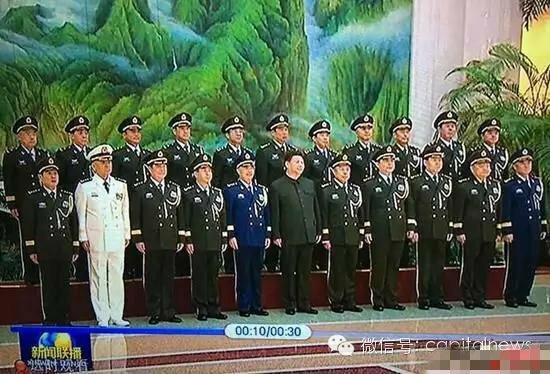 Chinese President Xi Jinping, who also heads the Central Military Committee (CMC), on Thursday conferred military flags to the commanders of the three bodies, namely the PLA Army General Command, the PLA Rocket Force and the PLA Strategic Support Force, at their inauguration ceremony in Beijing. This is part of China’s key reforms aimed at enhancing the Communist Party of China’s (CPC) leadership over the military, and boosting the PLA’s combat capabilities by establishing a modern military system. The upgrade places the rocket force on an equal footing with the army, navy and air force, said Song Zhongping, a military expert. The name change to the Rocket Force from “Second Artillery Force” also shows China’s determination to enhance military transparency. It will also impose strong strategic deterrence, he said. The Defense Ministry on Friday stressed that the establishment of the Rocket Force does not mean a major change of its nuclear policy. Reiterating its no-first-use nuclear weapons policy and defensive nuclear strategy, spokesperson Yang Yujun said at a press conference that China’s nuclear policy remains consistent, and China always keeps its nuclear capability at the minimum level required for safeguarding its national security. “We will strive to build a strong and modern Rocket Force,” he said. Yang did not get into much detail about what the Strategic Support Force is, but said it is a force which combines the strategic, basic and support resources of the country’s new type of combat forces. But Song said this new force is mainly aimed at providing resources capable of protecting China’s cyber and space security. Song said the establishment of the Strategic Support Force shows the Chinese leadership’s vision of building a military that can meet the challenges of not only traditional warfare but also of new warfare centered on new technology. The army used to be supervised by four headquarters – the General Staff Headquarters, the General Political Department, the General Logistics Department and the General Armament Department. The establishment of the Army General Command puts the control directly under the Central Military Commission. It is a major measure to improve the leadership and command system, the Ministry of National Defense said earlier. Through a joint command and combat system, the Central Military Commission will be able to directly lead the army, the navy, the air force and rocket force, which will largely enhance the efficiency during wartime, said Song. At Thursday’s conferral ceremony, President Xi said the move to form the Army General Command, the Rocket Force and the Strategic Support Force is a major decision by the CPC Central Committee and the Central Military Commission to realize the Chinese dream of a strong military, and a strategic step to establish a modern military system with Chinese characteristics. It will be a milestone in the modernization of the Chinese military and will be recorded in the history of the people’s armed forces, according to Xi. The Central Military Commission has also released a guideline on deepening national defense and military reform, about a month after Xi ordered a military administration and command system overhaul at a key meeting. 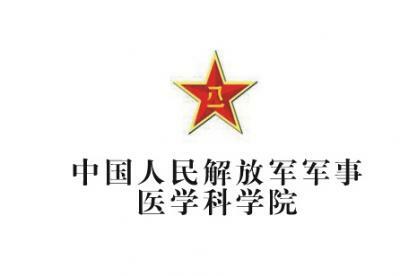 According to the guideline, a new structure will be established in which the CMC takes charge of the overall administration of the PLA, the Chinese People’s Armed Police and the militia and reserve forces, while battle zone commands focus on combat and various military services pursue development. The military reforms, which will involve massive restructuring and regrouping, are expected to “make major breakthroughs” and achieve concrete results by 2020, according to the CMC. The General Command of Army Badge. Photo source: weibo account of “yangshixinwen”. 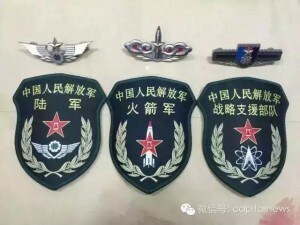 The PLA Rocket Force Badge. Photo source: weibo account of “yangshixinwen”. The PLA Strategic Support ForceBadge. Photo source: weibo account of “yangshixinwen”. Chinese President Xi Jinping (L F), confers the military flag to Li Zuocheng (C F), commander of the Army of the Chinese People’s Liberation Army (PLA), and Liu Lei, political commissar of the Army, in Beijing, capital of China, Dec. 31, 2015. The general commands of the PLA Army, Rocket Force and Strategic Support Force were founded on Thursday. The People’s Republic of China, Friday unveiled further details of one of its largest military reforms, launching three new bodies of the People’s Liberation Army (PLA), including an army command, an upgraded missile force and a special force for space and cyber wars. Summary: As “artificial space” Cyberspace is the second land, sea, air, space human’s fifth-dimensional space. Reports from the relevant strategy adopted by the United States in recent years, the United States developed a set of cyberspace strategy, including the right to compete for the system network strategy, enabling the network to improve the combat effectiveness of weapons “network-centric warfare” strategy, cyberspace security strategy and the strategic use of cyberspace for his country’s political and ideological penetration. Cyberspace has developed strategic US achieved remarkable results, for which seek a major political, security, economic and military interests. However, the openness of cyberspace also increased the vulnerability of the United States, such as the United States to maintain hegemony in cyberspace developed thousands of computer viruses, so-called “logic bomb”, once mastered by terrorists, the consequences would be disastrous. Cyberspace (Cyberspace) or, more accurately known as the network of electromagnetic space, is a noun Canadian science fiction writer William Gibson (William Gibson) made in its 1984 publication of the novel “Neuromancer” (Neuromancer), the mean computer information systems and the human nervous system is connected to produce a virtual space. ① with the rapid development of computer technology, sensor technology and networks and grid technology breakthrough, cyberspace has become a new objective in the field of real. “The field of electromagnetic energy to use electronic equipment, grid, and networking hardware and software systems for the physical carrier, information and control information as the main content, by storing the data, modify, and exchange, to achieve the physical system manipulation. ” ② Thus, cyberspace is a new “control domain.” ③ Its various sectors and areas of operation control is as effective as the control of human behavior the human nervous system. As the world’s sole superpower, the United States to maintain its hegemony, naturally will not miss this new “control domain.” ④ to this end, the United States developed a comprehensive strategy for cyberspace. This strategy includes the right to compete for the system network strategy, enabling the network to improve the combat effectiveness of weapons “network-centric warfare” strategy, cyberspace security strategy and the use of cyberspace for his country’s political and ideological penetration strategy. The predecessor of the modern Internet is the United States Department of Defense to build the “ARPANET” (ARPA Net). In 1969, the US Department of Defense to ensure that the US critical computer systems in the event of nuclear war still normal operation, ordered their subordinates Advanced Research Projects Agency (Advanced Research Project Agency, ARPA) study computer networking problems. By the late 1970s, the Defense Advanced Research Projects Agency has established a number of computers on the LAN and put into use. 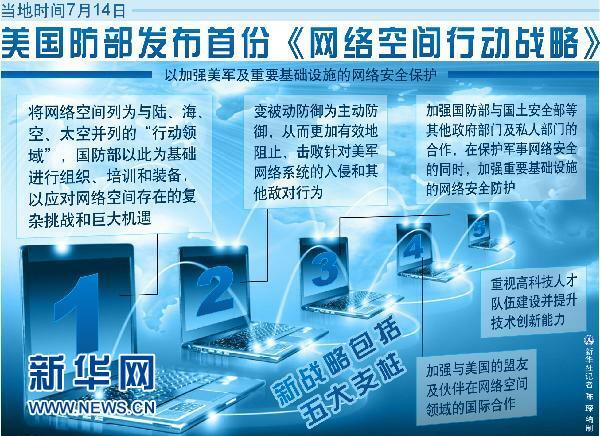 In order to solve communication problems between the LAN, Advanced Research Projects Agency to examine the different LAN WAN link up the formation of a new method, and built a wide area of the computer on the Internet. Since the advent of the Internet, it can be described as a breakthrough in technology by leaps and bounds, the network connection touches every corner of the world, “showing unprecedented strength.” ⑤ especially with the micro-electromechanical systems (micro-electro-mechanism system, MEMS) rapid development, there have been a number of communications and computing power of having micro-sensors. These sensors can always be accurately detected on the detection region by an ad hoc manner, and the detection result transmitted through a wired or wireless network to the implementers. Since the prospect of this technology is unlimited, the US National Science Foundation in 2003 to allocate huge amounts of money, research sensor network technology, the US Department of Defense has set up a series of military sensor network research projects. Currently, connect the computer and mass sensor network is the nerve of the world has been integrated, and grasp the system network electromagnetic space right is tantamount to control of the world of the nervous system, it’s meaning even more dramatically than the seas of the 19th century, 20th century airpower. Therefore, all the major countries in the world attaches great importance to the network the right to compete for electromagnetic space. Such as Germany in recent years to develop a “German network security strategy,” Britain also issued a “National Cyber Security Strategy.” Although these reports entitled strengthen “cybersecurity”, in fact, prepared to compete for the right network electromagnetic space. In order to firmly grasp the system network electromagnetic space right, the American government can be described as a multi-pronged. Second, the Internet’s root server control in their own hands. Since the domain name system management mode was root-like distribution, so the root server management plays a decisive role in the domain name, which is state-controlled root server, this country will have enormous power in the Internet field. Presently there are a main root server and 12 deputy root servers. Placed in Dulles, Virginia, USA taproot server by the American company responsible for managing VeriSign. 12 deputy root servers, 9 placed in the United States, the US military to use two, NASA use a. In addition three deputy root server is placed in the hands of Britain, Sweden, Japan and other US allies. In other words, the United States has the root servers direct and indirect control. As long as the United States is willing, just the root servers and secondary domain name server is disconnected, the United States can paralyze a country with hostile Internet system. 2009, should the United States government requirements, Microsoft has cut off Cuba, Syria, Iran, Sudan and North Korea and other five countries of MSN services, resulting in five countries MSN users can not log in to the instant messaging system. Third, the United States to use its absolute dominance in the network software, hardware manufacturing capacity and technology to reap political benefits. According to the statistics of relevant institutions, worldwide 18 Internet software companies, 10 are US companies, including Microsoft (Microsoft) is the world’s largest software company, the company’s operating system is widely used in personal computers and servers . Cisco (Cisco Systems) is a network hardware leader in the field of production, the company’s routers, switches, repeaters, etc. occupies an important position in the international market. Juniper (Juniper Networks) and Brocade Communications Systems (Brocade Communications Systems) is the world’s leading network equipment manufacturers, its router technology and storage switch technology leader worldwide. Advanced network software, hardware manufacturing technology and strong production capacity is one of the United States compete for hegemony trump network electromagnetic space can be necessary to stop the threat or actual termination of the provision of goods to the opponent, the other stuck in the woods. In addition, major US software companies are closely related with the US government. Under the government’s behest, the US software vendors often on their manufacturing software is embedded with the back door, so that, if necessary, to serve the US political, economic and national security purposes. In 1999, Microsoft’s blockbuster “NSA key” event the United States attempts to steal other countries’ secrets revealed to the world. Fourth, the United States holds the distribution rights worldwide IP addresses. In the online world, the amount of IP addresses in the real world is like the size of a country’s geographic territory. Because the United States controls the assignment of IP addresses, the vast majority of it will be left to its own IP address and its allies of the company and the public use, other countries can only share a little cold leftovers. For example, although China is a big country network, but IPV4 / IPV6 addresses and domain names are on loan from the United States, seriously controlled by others. In fact, long before the promulgation of these documents, the United States had begun to train cyber warfare electromagnetic space warfare capability. According to reports, in June 1995, the US 16 “the first generation of cyberspace warfare warrior” graduated from the National Defense University. In the same year on October 1, the US military in South Carolina State Air Force Base set up the first network of electromagnetic space warfare units, namely the 9th Air Force 609 Squadron. October 1998, the US Defense Department official will be included in the information war fighting doctrine, also approved the establishment of “computer network defense joint special forces.” In early 2006, the US Air Force to establish research networks electromagnetic space problem “network special group”, the special assistant to the Air Force Chief of Staff Dr. Lani Kass headed. With the end, the Air Force officially announced the establishment of a temporary network electromagnetic Space Command 8,000 people, Robert · J. Elder will serve as commander of the post. (11) in 2007, the US Air Force to rely on the 8th Air Force, the Air Force set up a network of electromagnetic space Warfare Command, the Navy has set up a “Navy computer emergency response unit,” West Point established a network of electromagnetic Space Science Center. In 2009, US Defense Secretary Robert Gates announced the formal establishment of the “network of electromagnetic Space Warfare Command,” the US National Security director Keith Alexander will be nominated as commander. According to the US Deputy Secretary of Defense Ashton Carter said in the Aspen Security Forum, held July 18, 2013, the US network forces to be deployed in place. (12) This indicates that the United States has sounded the clarion call to compete for hegemony in cyberspace. May 25, 2001, former US President George W. Bush delivered a speech at the US Naval Academy graduation ceremony, stressed that “we must take advantage of the revolutionary advances in warfare technology to build our army, so that we can define our way of war to the maintenance of peace. We are committed to build a mainly mobility and quickness rather than size and number to measure the strength of the future army, build an easier to deploy and security forces, and build a greater reliance on precision-guided weapons and stealth and IT forces. ” (18) about George W. Bush proposed the construction of digital force requirements, the US Congress and the Defense Department put forward a defense to rely on IT transformation program. US Defense Transformation’s goal is to use the network forming, so that the physical limits of technology has now reached the weaponry to combat multiplier effect. Exercise USAF F-15C aircraft organizations perform aerial combat missions showed that the kill rate using data link F-15C aircraft, increased by more than 1 times. The reason is that “the use of tactical data link enables pilots greatly improved the perception of the battle space, resulting in enhanced combat effectiveness.” (19) forming the premise can use the Internet is to strengthen national defense information infrastructure. As well-developed highway transportation extending in all directions, like inseparable, to obtain information superiority, is also inseparable from nothing is to the broadband network. In January 1993, the Clinton administration issued the “National Information Infrastructure: Action Plan” document, proposed the establishment of high-speed fiber-optic communications network in the United States, namely the “information superhighway”, to every office and home network connections are used to form easily accessible information superhighway. After starting the “information superhighway” Soon, the US military has begun to design national defense information infrastructure (DII) construction. 1995, the US military C4I concept proposed to start the Defense Information Infrastructure Common Operating Environment (DII-COE) construction, is intended to provide timely and accurate safety information for military action. In 1996, the US military further proposed various types of reconnaissance, surveillance, sensor integration, breaking the military services between the “chimney” lined situation, construction command, control, communications, computers, intelligence, surveillance and reconnaissance systems (C4ISR), real “From sensor to shooter” combat capability. US Department of Defense in promoting the construction of a military network bandwidth while also developing Information Grid (Grid) (20) technology. In 1999, the US Department of Defense proposed the building of “Global Information Grid” (Global Information Grid, GIG). In 2003, the Ministry has announced a “Global Information Grid Architecture” (version 2.0), with the Defense Information Systems Network Planning (DISN) as the backbone to integrate the services of the US military information system, built in line with “Global Information Grid” requirement The “system of systems” formula common operating environment (GIG SOS-COE). At present, “Global Information Grid” bandwidth expansion plan (GIG-BE) has been completed, nearly 100 backbone nodes to achieve a seamless broadband high-speed Internet. 2008, the US Defense Information Infrastructure will extend from the narrow to the broad field of cognitive domain information, information from a network domain to electromagnetic fields (Cyber) across. Core network-centric warfare is to war physical domain, information domain and cognitive domain “network.” (24) Compared with the platform-centric warfare, network centric warfare has incomparable advantages. Second, network-centric warfare can greatly improve the firepower effect. Platform-centric blow process, the ability to detect and combat together under one platform, and a platform for the ability to obtain information from the other platforms and then carry out combat missions based on very limited. And network-centric warfare, the fighting is fueled by increased capacity, improve the quality and timeliness of information flow between networks. Increase the flow of information is critical battle space perception can be shared and improving information accuracy. Network after partial image of each unit consisting of a complete summary of operational space diagram, and then transferred immediately to the decision scheme weapon against the system, greatly improving the efficiency of the weapon system. Third, network-centric warfare has greatly enhanced the efficiency of command. Under normal circumstances, the operations process consists of the following elements: probe target, identify the target, hit the target to make decisions, the decision to transfer arms, weapons, aim and fire. This process, play a decisive role from target detection to fire the reaction time and firepower range. The reaction time depends on the role of distance sensors and weapons, time kill radius of weapons, communications and information processing needs, and make the decision to spend time. Platform-centric weapons systems, linkages between the various weapons systems by voice to achieve, not the direct command of weapons engagement; and in network-centric warfare, perception, command, control, and the ability of warring and so on through the “robustness” The digital data link connection to a network, the capacity of the flow of information between network nodes, the quality and timeliness greatly improve the combat effectiveness of the weapon system. Fourth, to save resources. In the era of mechanized warfare, because the relatively low level of information sharing, the various branches of weapons and equipment are loosely organized together, the main operations center in each platform and expand, the lack of effective communication and coordination mechanism between them. Therefore, in the development of equipment development, mechanized warfare is more concerned about the construction of weapons platforms, emphasizing weaponry itself to each generation longer range detection broader, better mobility, protection stronger, rather than emphasizing weapons and equipment in various branches of information detection, firepower, protection and other aspects of the battlefield lateral complementary collaboration. In order to meet the various needs of battlefield environment, mechanized warfare requires a single platform should also have multiple complex combat system with air and sea, the potential early warning, surveillance, detection and far, short-range strike capability and protection capacity, and all of these functions due to lack of information and the main coordination mechanism for their own services, causing great waste. Meanwhile, the upgrading of platform-centric weapons systems, weapons platforms make increasingly large and more complex. Network Centric Warfare in the Information Age is completely different, it emphasizes the grid in the framework of the various branches of military hardware strike weapons, sensors, communications equipment and support equipment and other integration as a whole, combined into a super-scale precision weapons, implementation of the system and the system, against the system and the system as a whole. Comprehensive US troops from the Cold War so far the introduction of the strategic planning report and the army, the US military is increasing access to network electromagnetic spatial information efforts. As in the late 1990s when the proposed C4ISR, the US network of electromagnetic space requirement is to provide four “arbitrary” for combat, that is, any time, any information, any place, any person. And when in 2003 started the construction of the Global Information Grid is designed to allow network electromagnetic space provides five “proper”, that the right time, the right place, the right information, the right form, the right people. By 2008, the US also proposed the establishment of a network through electromagnetic space environment, to achieve the “three global capacity”, that global warning capabilities, global reach capabilities and global operational capabilities, to achieve full spectrum advantage. Thus, the United States will make every effort to expand the use of the network enabling the US military’s combat strength, to maintain American military hegemony. Second, the network of terrorist activities against the United States poses a great threat in cyberspace. As the network has become the most important human information dissemination and communication tools, terrorist organizations will also spread its tentacles into the network, make full use of the network of privacy, anonymity and across time and space characteristics, to implement terrorist recruitment and training programs . For example, the world’s largest terrorist organization “base” organization in recent years to take advantage of the network to carry out terrorist activities. According to the US Institute of Peace in Washington researcher Gabriel Weinmann observed, “In the traditional site of discussions and forums area can be found al-Qaida elements. 7 years ago, they are about 12 Internet sites. Since the ‘base’ Organization members have been expelled from Afghanistan later, to some extent, they have found refuge on the Internet. They added one, two or even 50 sites “Every day. Statistics US Treasury Bureau of Information said, “base” organization has about 4,000 online sites. “(32) terrorist organizations use network behavior aroused the attention of the American government department. In early 2005, the FBI asked to be alert terrorist organizations to recruit engineers from the Internet. In July, the US government should request, Pakistani authorities arrested the “base” organization computer expert Naeem Noor Mohammad Khan. Given the extreme importance of the network to US national security, in order to prevent the “Network Pearl Harbor” occurred (Cyber Pearl Harbor) events, from the Clinton administration, the United States adopted a series of measures to ensure that the United States of network security. First, the US government cybersecurity strategies into national security strategy areas, to enhance network security awareness of network security status and population strategy. 1998, Clinton issued “critical infrastructure protection” Presidential Decree (PDD-63), the first clear concept of network security strategy. The report notes that although the United States is the world’s most powerful countries, but more and more dependent on “the importance of those countries as well as the physical properties of computer-based systems and assets once they are damaged or destroyed, will the country security, national economic security and national public health and health care have a devastating impact. ” (35) in December 2000, Clinton signed the “National Security Strategy in the Age of Globalization” file, the network security as an important part of the national security strategy. (36) in January 2009, shortly after Obama became US president, will according to the US Strategic and International Studies Center, “to ensure that any new president within the network of electromagnetic space security” to submit a special report, proposed in October 1957 as the Soviet Union launched the first Sputnik as holding a similar referendum discussion, raise the American public network electromagnetic space security awareness. (37) After due deliberation, the US government in 2011 focused on the introduction of a number of reports on network electromagnetic space security, the more important the “network authentication electromagnetic space credible national strategy” (National Strategy for Trusted Identities in Cyberspace, March 2011), “Network electromagnetic space International Strategy” (International Strategy for Cyberspace, 2011, May 2007), “DoD networks electromagnetic space action strategy” (Department of Defense Strategy for Operating in Cyberspace, 2011 July 2009) and “DoD networks electromagnetic space policy report” (Department of Defense Cyberspace Policy Report, 2011 November 2003). These reports are all involved in the network of electromagnetic space security strategy. Third, focus on top-level design, streamline management network electromagnetic space security organizations. Early in the Clinton administration, the United States will set up an inter-departmental coordination mechanism – the president Critical Infrastructure Protection Board. From the implementation point of view, the role of this institution is limited. After the “9.11” incident, the Bush administration set up by the chairman of the committee for the first time as the “president of network security consultant”, but its mandate is relatively small. After the 2003 establishment of the Department of Homeland Security, the US government handed over responsibility for the US network electromagnetic space security to the ministry. Report of March 2009, US security committee electromagnetic space network to President Obama just appointed submitted a “ensure that any new president within the network of electromagnetic space security”, said the “network of electromagnetic space security issue is a serious national security challenge facing the United States of a network of electromagnetic space security is not just Chief Information Officer IT office tasks, it is not just homeland security and counter-terrorism strategy and …… it is to prevent the proliferation of weapons of mass destruction and the fight against global ‘jihad’ equally important event. The federal government should bear the main responsibility. ” (41) Under the repeated calls of experts and scholars, the White House also recognized “Without a central coordinating mechanism, no update national strategy, no plan of action for the development and coordination of the executive departments, and no congressional support, by partaking work is insufficient to meet this challenge. ” (40) 163 For this reason, the White House organized the “White House cybersecurity office”, and established close ties with the president can “White House cybersecurity coordinator.” After the integration of the Obama administration, the US federal government currently has six full-time network security agency: Department of Homeland Security under the “US Computer Emergency Response Team”, under the Ministry of Defence, “Joint Operations Force Global Network Operations Center” and “Defense Cybercrime Center “, under the FBI’s” national online survey Joint Task Force “, under the Office of the Director of National Intelligence” Intelligence Community Network Incident Response Center “, and is part of the National Security Agency’s” Cyberspace Security Threat Operations Center. ” Obama administration to adjust to network security management system is primarily intended to improve the efficiency of network security organization and leadership, the formation of a comprehensive national network of electromagnetic space security leadership and coordination system integration. Fourth, to the outside world announced the implementation of a high-profile network deterrence. May 2009, the Obama administration announced the “Cyberspace Policy Assessment” is made, “From now on, our digital infrastructure will be considered national strategic assets to protect this infrastructure will be a priority of national security.” (42) for the protection of the United States of this strategic asset, in May 2011 the US government announced the “Cyberspace International Strategy” stressed: If potentially hostile country for the US-sponsored cyber attack threat to national security and interests, the United States will not hesitate to use military power. In June, US Defense Secretary Robert Gates in Singapore to attend the 10th Shangri-La Security Dialogue noted in confirming network attacks from his country, the United States regarded as “an act of war” and to give “force to fight back.” (43) This shows that the United States 已把 network security as a top priority, of means by those who seek to attack the national or organizational network infrastructure to benefit the United States resorts to war. Due to the popularity of the network, the global number of Internet users increased dramatically. According to statistics Internetworldstats.com, and as of December 31, 2012, the global number of Internet users reached 2.405 billion, accounting for 34.3 percent of global population. (47) where the number of Chinese Internet users more development trend showing a blowout. According to the China Internet Network Information Center released data, as of the end of December 2012, China’s netizens reached 564 million, the year of new users 5,090 million and Internet penetration rate of 42.1%, an increase of 3.8 percentage points over the end of the year; slightly Bo 309 million registered users, more than the end of 2011 increased 5,873 million. Seen from the above statistics, human society has entered a “fiber age.” Spread nature of the network is not just the flow of information, but also the sharing of information network participants, negotiation, compromise and confrontation, including deep-level activities behind the concept of action, will, emotions. (48) In particular, especially Web2.0 era. Development and application of this technology to make a breakthrough in the field of Internet is essentially a computer communication era, ushered in a revolution in ideas and thoughts. (49) in the Web 2.0 environment, participation in interactive is a more obvious characteristics of user demand. Most online content is to create a user, different users can easily share wisdom, namely the use of collective wisdom to make the Internet into a sense of global brain. Web2.0 individual-centered, users not only information the reader, but also the publisher of information, communicators, modified by. In other words, by a few leading resource control by centralized control of the Internet system began to change for the bottom-up by the majority of users of the collective wisdom and strength to dominate the Internet system, opening the era of the Internet’s roots. Popularity of the network of traditional print media and television revolution. Government and the consortium can easily control a newspaper or a television station. A country may also be issued in other countries refuse to newspapers in the country, do not let other countries landed a television program in the country, thereby more effectively prevent other countries to the ideological penetration. However, the Internet real-time dissemination of information and without Borders greatly weakened the ability of countries to withstand external ideological penetration. After the Cold War, the United States launched the Iraq war and by the war in Afghanistan to extend “American-style democracy”, that is by way of regime change “top-down” to promote democracy, but frustrated, in trouble. (50), however, began in the “Arab Spring” in Tunisia saw the US has “point” and “interactive” features of the Internet, to help the United States “bottom-up” to pursue its expansion strategy democracy. So the United States began to increasingly rely on international hegemony it has in the technical aspects of the Internet, began to fully exploit the great advantages of foreign ideological penetration of their enjoyment of the Internet as an important tool for ideological penetration of his country. First, the US government set up a network penetration leadership. In 2002, the US government established the “Internet diplomatic team,” the team after being incorporated into the “Internet diplomatic office,” the US State Department. In February 2006, Secretary of State Condoleezza Rice established the “Working Group on Global Internet Freedom”, the main research on the Internet and free foreign policy. In 2008, the Rand Corporation report to the US Department of Defense, suggested that the US should help reformers obtain and use information program, which provides a number of measures to encourage US companies to invest in communications infrastructure and information technology in the region. Obama called the US the “Internet president.” When he ran for the presidency in 2008, through superior rabbit network (Youtube), Facebook (Facebook), Twitter network (Twitter) and MySpace (Myspace), etc. send a message, users win support. After the White House, Obama actively using Web 2.0 technology to promote US public diplomacy to promote the American spirit to the world and to promote American-style democracy. Under the White House’s push, the United States set up the relevant institutions, leadership network penetration work. Under the leadership of these organizations, the US State Department after the launch of Twitter in French, Spanish, Arabic and Persian launched version, also plans to launch Chinese, Russian and Hindi version. ⑤Jose Vericat,”Is the Google World a Better Place,” Journal of International Affairs,Vol.24,No.1,2010. ⑦The Department of Defense,The National Military Strategy for Cyberspace Operations(2006),p.10. ⑧The Department of Defense,National Military Strategy(2004),p.18. ⑨The Department of Defense,The National Military Strategy for Cyberspace Operations(2006),p.v. ⑩The Department of Defense,The National Military Strategy for Cyberspace Operations(2006),pp.19-20. (11)Thomas Rid and Marc Hecker,War 2.0:Irregular War in the Information Age,Westport:Praeger Security International,2009,p.58. (14)Shane P.Courville,Air Force and the Cyberspace Mission Defending:the Air Force’s Computer Network in the Future,2007. (16)Thomas Rid and Marc Hecker,War 2.0:Irregular War in the Information Age,p.37. (17)Thomas Rid and Marc Hecker,War 2.0:Irregular War in the Information Age,p.57. (19)David S.Alberts,John J.Garstka,Frederich P.Stein,Network Centric Warfare:Developing and Leveraging Information Superiority,CCRP Publication Series,2000,p.100. (21)Arthur K.Cebrowski and John J.Garstka,”Network-Centric Warfare:Its Origin and Future,” Proceedings,January 1998. (22)Arthur K.Cebrowski and John J.Garstka,”Network-Centric Warfare:Its Origin and Future,” Proceedings,January 1998. (26)Thomas Rid and Marc Hecker,War 2.0:Irregular War in the Information Age,p.37. (27)Charles E.Croom,Jr.,”Guarding Cyberspace Global Network Operations,” Joint Force Quarterly,No.46,July 2007,p.69. (35)The White House,National Plan for Information Systems Protection Version 1.0:An Invitation to a Dialogue,2000.http://fas.org/irp/offdocs/pdd/CIP-plan.pdf. (36)White House,A National Security Strategy For A Global Age,December 2000,http://www.globalsecurity.org/military/library/policy/national/nss-0012.pdf. (38)Executive Order 13231 of October 16,2001,Critical Infrastructure Protection in the Information Age,http://www.fas.org/irp/offdocs/eo/eo-13231.htm. (39)National Strategy for the Physical Protection of Critical Infrastructures and Key Assets,February 2003.http://www.dhs.gov/xlibrary/assets/Physical_Strategy.pdf. (42)Remarks by the President on Securing our Nation’s Cyber Infrastructure,May 29,2009,http://www.whitehouse.gov/the-press-office/remarks-president-securing-ournations-cyber infrastructure. (43)Reuter,”Cates:US ready to use force against cyber attackers,” June 4,2011,http://www.jpost.com/VideoArticles/Video/Article.aspx?id=223559. (44)Jack Goldsmith.The Cyberthreat,Government Network Operations,and the Fourth Amendment[EB/OL].http://www.brookings.edu/papers/2010/1208_4th_amendment_goldsmith.aspx. (53)White House,”International Strategy for Cyberspace:Prosperity,Security,and Openness in a Networked World,” May 2011,p.5.